South Africans Sihle Ndlela (25) and Simphiwe Majozi (26) are the entrepreneurs behind Majozi Bros Construction, a Durban-based residential construction business offering turnkey building solutions. The duo started the company in 2012 after noticing a gap in the market for a professional firm that targeted housing construction in townships. Both entrepreneurs had previously worked as street vendors, and managed to break into the construction industry by purchasing a plot of land, building a house, and selling it at a comfortable profit. 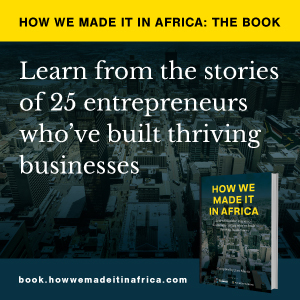 How we made it in Africa speaks to Ndlela and Majozi about their entrepreneurial journey, risks they face, and how they hope to eventually become a major player in property development. Majozi: The business started from very humble beginning with very little money. It was funded by a concept we like to call OPM (other people’s money). When I started the business I managed to get my first job, which was to build a boundary wall. I got R8,500 (US$510) from the 30% deposit I had requested from the client and used it to buy two wheelbarrows and two spades. I asked the builders that I’d recruited to bring their own tools and used my sister’s Hyundai to travel to the site. We realised early on that saving is not a growth strategy, but investing is – so we have invested all our profits back into developing and growing the business. Not all businesses require capital to get started. It’s about using you natural entrepreneurial flair. I believe real entrepreneurs don’t need funding to start a business but they definitely need money to grow one. Ndlela: We would definitely buy more residential plots of land specifically in gated estates with an intention to build spec houses and sell them for profit. We believe that gated estates are the future and studies show they are currently growing at 33% annually. From an investor’s standpoint, they offer a quicker ROI since houses in estates traditionally sell higher then free standing houses. US$1m would allow us to buy and develop 15 sites and would produce a gross margin of 60%. Doing our own developments allows us to produce substantially higher profit margins than building houses for private clients. Ultimately we want to move towards being fully-fledged property developers and spread our risk by also investing into buying and turning around distressed shopping centres and buildings. Our aim is to build the biggest property group in South Africa. Secondly, not being profitable. Construction is the easiest business to make a loss if a job is not priced correctly and if costs aren’t controlled. Unfortunately variation costs sometimes make it extremely difficult to control costs, and some can spiral out of control to the point where a job is a loss and ends up being sustained by cash flows from other jobs – which puts the overall finances of the business in jeopardy. Thirdly, volatility, as construction is a highly volatile industry. One minute business is booming and you have more work than you can handle, and the next minute it dries up and you don’t have enough work to cover your fixed costs. During these times you have to make some tough belt-tightening decisions such as letting staff members go. Injuries to third parties and workers is also a risk. No matter how hard you try to create a safe working environment, a construction site is a dangerous place full of potential hazards. This can be especially true for people unfamiliar with safety rules, such as clients visiting the worksite. Even veterans of the construction industry can get hurt on the job, including your employees. And then there is poor workmanship. A construction business is liable for finished projects that are structurally unsound, or faulty in some other way. If your work doesn’t comply with national building regulations, your client could lose money and look to you for reimbursement. Complying with building codes and safety standards is the best way to prevent this. Ndlela: Online marketing is the future and it works because most of our clients spend much of their time online, which is why our marketing efforts are designed to generate traffic to our website. We are part of various online referral networks, and on occasion we also advertise in newspapers and billboards. Our building sites are also one of our powerful marketing tools. We keep them clean and tidy, and ensure we have a giant branded board on site with our details. All our staff wear fully-branded uniforms on site, while our four branded vehicles also assist us to constantly create brand awareness. We also make sure our clients have positive experiences and end up generating referrals from happy clients. We have also been profiled in a number of leading local newspapers and radio stations, so that has contributed immensely to our brand awareness. Majozi: Our biggest achievement by far is the impact we have had on our industry. When we started out there were very few professional black residential contractors – if any at all. The market was filled with unprofessional tradesmen who were out to make a quick buck at the cost of the consumer. Since we have been in industry we have seen a shift in the mindsets of black contractors, many really making an effort to change and now modelling on us and using our techniques. As a result they are starting to be very competitive, entrepreneurial and professional. Competition is good for business and ultimately the industry and consumer. We have realised that we have built more than just a business that makes money and builds houses. We have built a movement that shows other aspiring black entrepreneurs that black people are capable of creating sustainable business that don’t rely on government tenders but are driven by entrepreneurship, innovation and a desire for social change. Secondly we have managed to change negative perceptions surrounding townships. We bring back a pride in the township by building houses of “Top Billing” standards in the township that not only the owners are proud of, but also entire communities. We are now seeing a lot of people wanting us to build them similar houses. We are also slowly turning black professionals into savvy investors and teaching them how to create passive income and wealth through property. Tell us about your biggest mistake and what you learnt from it. Ndlela: One of our biggest start-up mistakes was starting without first establishing business processing and operating systems. In the early stages it wasn’t a big problem but as the business started growing it became a massive problem. We didn’t have systems for anything and therefore we couldn’t manage cash flow or contain costs, and we couldn’t consistently produce a quality product without us being on site [overseeing all activity]. We didn’t have systems to manage our staff – it was one big nightmare. So what did we do? We approached established construction companies, and instead of asking them for Black Economic Empowerment (BEE) deals, we asked them to visit our business and construction sites to critique both our business model as well as our construction processes, and suggest ways for us to improve. We also attended various short courses focused on quality and customer relationship management, as well as construction finance, sales, and human resources management. Those experiences taught us to establish systems and controls as well as to continually develop mechanisms to test and measure the effectiveness of these. It taught us that the secret to efficient growth is scale, and scale can only be achieved as a result of automating all functional processes and procedures of the business, and empowering the right people to manage those systems.